Black Diamond Mines Regional Preserve isn’t haunted, but it’s a park grown upon the ghosts of California’s history. The spirits of the Ohlone and Miwok people still permeate the land. When I stand on wild hilltops, I look to the expanse of tract development over what, by all accounts, was once a natural paradise in every sense. The ugly paradox is that were it not for the rapacious behavior of the early settlers, most of us wouldn’t be here . . . living off the land that once cradled these mostly peaceful people. That’s not a rationalization for my presence, merely an observation of historical irony and, for me, inescapable sadness. Subsequent changes in settlement wrested the land from Bay peoples, decimating their cultures in the process. The various ownership changes span the Spanish settlement to the Gold Rush to the 1906 Earthquake to modern times. And Black Diamond Mines preserves a chunk in between, when the hills above present-day Antioch were mined for coal, roughly from the 1860s until the late 1800s. 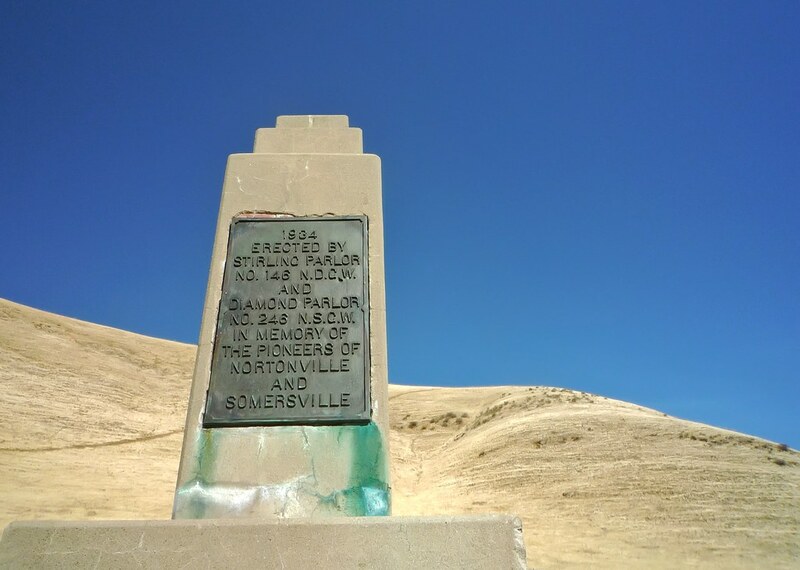 It was the largest coal mining operation in California and included five towns: Nortonville, Somersville, Stewartville, West Hartley and Judsonville. The towns died when the coal mining stopped. What remains of that extractive history is Rose Hill Cemetery, some mining artifacts and overgrown rock piles, and the Hazel-Atlas Mine which has scheduled, guided tours. Among those buried at Rose Hill Cemetery are numerous children, as well as a preponderance of residents who came originally from South Wales. Coal mining life was, of course, marked by incredible hardship, hazard and toil. The rest of the park incorporates 42 miles of trails across grasslands and hills, and through woodland and chaparral. The approach to Black Diamond Mines is spectacular, a stunning bucolic embrace just off Highway 4. You’ll drive through the heart of development which shows what this area might have been — instead of the lovely expanse of park it became. I will be going to Wales in late April and want to get any information about the location in Wales my family came. I read that the miners came from “south Wales”. Is there any more information than this? Newbridge, Risca, Rhymney, Tredegar, Crumlin, Abercarn and Cwmcarn were some of the most thriving mining towns in South Wales around this time. South Wales was full of slate, cole and iron ore mines, but population increases made it hard to find work- so the people from South Wales (and Cornwall) came, already skilled in this difficult work. At Dyffryn Castell, near Ponterwyd in the Cambrian mountains there is an amazing abandoned mining town. If you are interested in mining history or the Welsh people- it is worth a visit. Mining towns just scatter the mountains and are free to wander and explore-it’s just good to be careful. Hi there, simply grew to beomce familiar with your web site with Yahoo, and discovered that it’s actually insightful. Now i’m probably keep away from brussels. I’ll take pleasure in if you ever proceed the following later on. Many people may be taken advantage of ones producing. Thank you!